In fixed income, we favor short-term bonds in the U.S. and an up-in-quality stance in credit. We also prefer selected hard-currency EM debt over the local variety on relative valuations and the insulation they provide against currency depreciations. 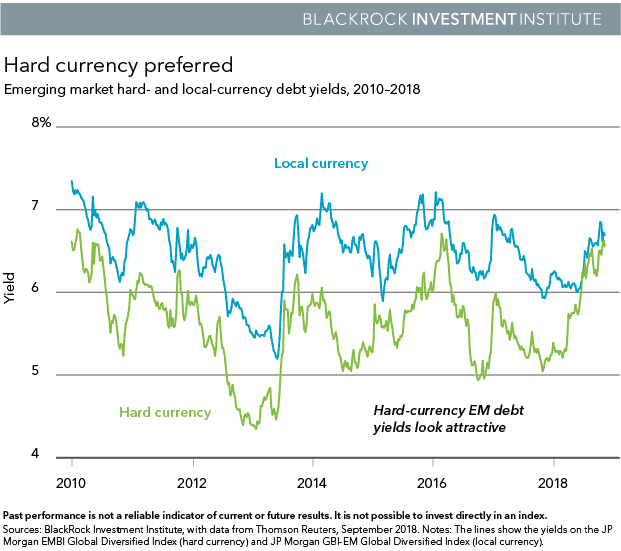 Hard-currency yields have risen to the top of their range this decade, erasing the usual gap with local currency yields. See the Hard currency preferred chart below. 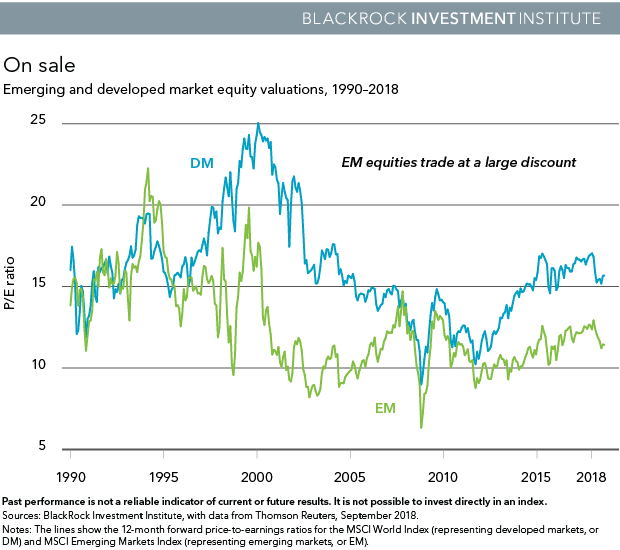 Local-currency markets have been the main recipients of EM debt inflows in recent years, putting them at risk of more outflows. And they are more exposed to any further weakness in EM currencies. Currency depreciation is a double-edged sword for EM. On the one hand, it acts as a stabilizing force in a crisis—helping rebalance current accounts. Yet it also comes as a market shocker.